Image © lj16, Reproduced Under CC Licensing. Investment bank Morgan Stanley are forecasting a stronger Pound-to-Euro exchange rate over coming weeks saying they expect political uncertainty to start fading. The call comes as volatility in Pound Sterling rises with traders subject to conflicting headlines on Brexit: currently rumours on the state of negotiations are driving the currency with E.U. and U.K. negotiators frantically working to seal a deal before a mid-week deadline. "We see value in buying GBP against EUR. While we anticipate both EURUSD and GBP/USD will rise in the coming months as USD bearish forces meet an improving European outlook, GBP should outperform EUR as Brexit risk premia gets priced out and the economy continues to tighten." The Pound-to-Euro exchange rate has been climbing since late August when markets started removing some of the aforementioned 'risk premia' as the prospects of a deal being struck before year-end grew. The rally took the exchange rate to a multi-month high at 1.15. At the time of writing the GBP to EUR conversion is quoted at 1.1452. "On the basis of our common efforts, the parameters of a possible agreement are verly largely defined, On the British side, the cabinet will meet Tuesday to examine these parameters. We are at an extremely sensitive moment. The smallest public comment from my side could be exploited by those who want the negotiations to fail." Nerves are however elevated with the Barnier report following a report in the Sunday Times that says May's Brexit deal has come "crashing down" after E.U. officials rejected proposals covering the Irish backstop. Yet strategists at Morgan Stanley expect the current political uncertainty in both the U.K. and Eurozone to improve, but a resolution of the Eurozone uncertainty may take longer, which bodes well for those betting on a stronger British Pound. "A potential Brexit resolution may be reached this month, suggesting downside for EUR/GBP. EUR/GBP also looks attractive on a risk-adjusted basis given low realised volatility in the pair, and is less vulnerable to swings in sentiment around political uncertainty in the U.K. and Europe," say Morgan Stanley. However, a key risk to the trade is that Brexit negotiations stall, adding risk premium to GBP and pushing EUR/GBP higher (giving a lower GBP/EUR). To see where Morgan Stanley and 50 other investment banks are forecasting the Pound to be against the Euro in 3, 6 and 12 months we recommend downloading the GBP/EUR consensus forecast report from Horizon Currency. The British Pound is on the front foot amidst reports a Brexit deal can be secured within the next two days. The E.U. and U.K. are apparently close to a deal which could be secured in the next 24 to 48 hours, according to Prime Minister Theresa May’s de facto deputy David Lidington. “We’re not quite there yet. We are almost within touching distance now. The PM has said it can’t be a deal at any price,” Lidington told BBC radio. When asked if he believed it was possible a deal could be secured in the next 24 or 48 hours, he replied it is "still possible but not at all definite, I think pretty much sums it up. Cautiously optimistic." The Pound-to-Euro exchange rate was quoted at 1.1488 in the wake of the comments, having been as low as 1.1397 at one point at the start of the week. The Pound-to-Dollar exchange rate is quoted at 1.2915 having been as low as 1.2873 at the start of the week. The comments by Lidington confirm to markets that the two sides are working hard to secure a deal this November to ensure there remains ample time for all sides to push through the necessary domestic legislation to make a deal possible in March 2019. 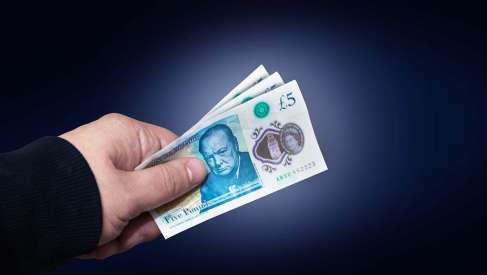 Investors are acutely aware of the importance of a deal for the British Pound and the U.K. economy, with most analysts saying the outlook is constructive for both provided a 'no deal' Brexit is avoided. The Pound has over recent hours overturned the +1% decline it suffered at the start of the week as the tone of reports surrounding Brexit negotiatons improves. "Sterling is trading higher on the 'almost within touching distance' reference to a Brexit deal. Market optimism is rebuilding. I would expect further gains in Sterling in the short-term on a headline suggesting a deal is agreed," says Neil Jones with Mizuho Bank.